Migrating computing resources to cloud environments opens up new attack surfaces previously unknown in the world of premise-based data centers. As a result, cloud-native data breaches frequently have different characteristics and follow a different progression than physical data breaches. Here is a real-life example of a cloud-native data breach, how it evolved and how it possibly could have been avoided. The company is a photo-sharing social media application, with over 20 million users. It stores over 1PB of user data within Amazon Web Services (AWS), and in 2018, it was the victim of a massive data breach that exposed nearly 20 million user records. This is how it happened. Step 1: Compromising a legitimate user. Frequently, the first step in a data breach is that an attacker compromises the credentials of a legitimate user. In this incident, an attacker used a spear-phishing attack to obtain an administrative user’s credentials to the company’s environment. Step 2: Fortifying access. After compromising a legitimate user, a hacker frequently takes steps to fortify access to the environment, independent of the compromised user. In this case, the attacker connected to the company’s cloud environment through an IP address registered in a foreign country and created API access keys with full administrative access. Step 3: Reconnaissance. Once inside, an attacker then needs to map out what permissions are granted and what actions this role allows. Step 4: Exploitation. Once the available permissions in the account have been determined, the attacker can proceed to exploit them. Among other activities, the attacker duplicated the master user database and exposed it to the outside world with public permissions. Step 5: Exfiltration. Finally, with customer information at hand, the attacker copied the data outside of the network, gaining access to over 20 million user records that contained personal user information. Your Permissions Equal Your Threat Surface: Leveraging public cloud environments means that resources that used to be hosted inside your organization’s perimeter are now outside where they are no longer under the control of system administrators and can be accessed from anywhere in the world. Workload security, therefore, is defined by the people who can access those workloads and the permissions they have. In effect, your permissions equal your attack surface. Excessive Permissions Are the No. 1 Threat: Cloud environments make it very easy to spin up new resources and grant wide-ranging permissions but very difficult to keep track of who has them. Such excessive permissions are frequently mischaracterized as misconfigurations but are actually the result of permission misuse or abuse. Therefore, protecting against those excessive permissions becomes the No. 1 priority for securing publicly hosted cloud workloads. Cloud Attacks Follow Typical Progression: Although each data breach incident may develop differently, a cloud-native attack breach frequently follows a typical progression of a legitimate user account compromise, account reconnaissance, privilege escalation, resource exploitation and data exfiltration. Protect Your Access Credentials: Your next data breach is a password away. Securing your cloud account credentials — as much as possible — is critical to ensuring that they don’t fall into the wrong hands. Limit Permissions: Frequently, cloud user accounts are granted many permissions that they don’t need or never use. Exploiting the gap between granted permissions and used permissions is a common move by hackers. In the aforementioned example, the attacker used the accounts’ permissions to create new administrative-access API keys, spin up new databases, reset the database master password and expose it to the outside world. Limiting permissions to only what the user needs helps ensure that, even if the account is compromised, the damage an attacker can do is limited. Alert of Suspicious Activities: Since cloud-native data breaches frequently have a common progression, there are certain account activities — such as port scanning, invoking previously used APIs and granting public permissions — which can be identified. Alerting against such malicious behavior indicators (MBIs) can help prevent a data breach before it occurs. Automate Response Procedures: Finally, once malicious activity has been identified, fast response is paramount. Automating response mechanisms can help block malicious activity the moment it is detected and stop the breach from reaching its end goal. Flexibility and elasticity. Both rank high on the corporate agenda in the age of digital transformation and IT is no exception. From the perspective of IT, virtualization and cloud computing have become the de facto standard for deployment models. They provide the infrastructure elasticity to make business more agile and higher performing and are the reason why the majority of organizations today are operating within a hybrid infrastructure, one that combines on-premise with cloud-based and/or virtualized assets. But to deliver the elasticity promised by these hybrid infrastructures requires data center solutions that deliver flexibility. As a cornerstone for optimizing applications, application delivery controllers (ADCs) have to keep pace in the race for flexibility. The key is to ensure that your organization’s ADC fulfills key criteria to improve infrastructure planning, flexibility and operational expenses. Organizations should enjoy complete agility in every aspect of the ADC service deployment. Not just in terms of capabilities, but in terms of licensing . Partner with an ADC vendor that provides an elastic, global licensing model. Organizations often struggle with planning ADC deployments when those deployments span hybrid infrastructures and can be strapped with excess expenses by vendors when pre-deployment calculations result in over-provisioning. A global licensing model allows organizations to pay only for capacity used, be able to allocate resources as needed and add virtual ADCs at a moment’s notice to match specific business initiatives, environments and network demands. The result? Dramatically simplified ADC deployment planning and a streamlined transition to the cloud. This licensing mantra extends to deployment options and customizations as well. Leading vendors provide the ability to deploy ADCs across on-premise and cloud-based infrastructures, allowing customers to transfer ADC capacity from physical to cloud-based data centers. Ensure you can deploy an ADC wherever, whenever they are required, at the click of a button, at no extra cost and with no purchasing complexity. Add-on services and capabilities that go hand-in-hand with ADCs are no exception either. Web application firewalls (WAF), web performance optimization (WPO), application performance monitoring…companies should enjoy the freedom to consume only required ADC services rather than overspending on bells and whistles that will sit idle collecting dust. New standards for communications and cryptographic protocols can leave data center teams running amok attempting to keep IT infrastructure updated. They can also severely inhibit application delivery. Take SSL/TLS protocols. Both are evolving standards that ensure faster encrypted communications between client and server, improved security and application resource allocation without over-provisioning. 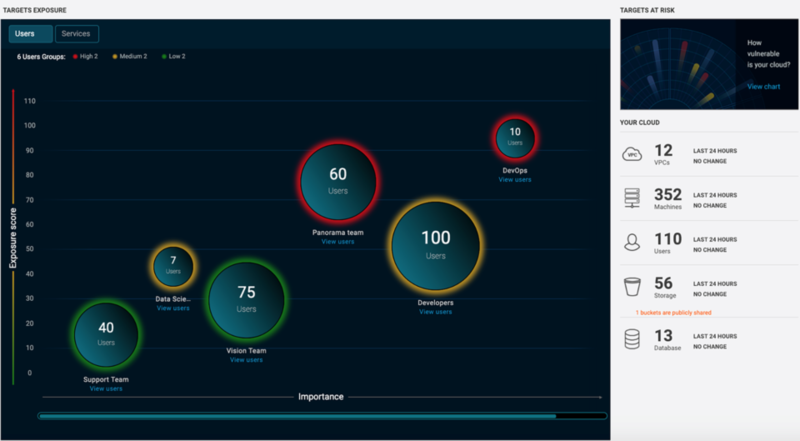 It allows IT to optimize the performance of applications and optimize costs during large scale deployments. Combining the flexibility of an ADC that supports the latest standards with an elastic licensing model is a winning combination, as it provides the most cost-effective alternative for consuming ADC services for any application. The goal of any ADC is to ensure each application is performing at its best while optimizing costs and resource consumption. This is accomplished by ensuring that resource utilization is always tuned to actual business needs. Leading ADC vendors allow ADC micro-services to be added to individual ADC instances without increasing the bill. By supporting container orchestration engines such as Kubernetes, it allows the organization to adopt their ADC to the application capacity. This also simplifies the addition of services such as SSL or WAF to individual instances or micro-services. An ADC licensing model should be an catalyst for cutting infrastructure expenditures, not increasing them. An ADC licensing model should provide complete agility in ever aspect of your ADC deployment. An ADC license should allow IT to simplify and automate IT operational processes. Bots touch virtually every part of our digital lives. They help populate our news feeds, tell us the weather, provide stock quotes, control our search rankings, and help us comparison shop. We use bots to book travel, for online customer support, and even to turn our lights on and off and unlock our doors. Yet, for every ‘good’ bot, there is a nefarious one designed to disrupt, steal or manipulate. Indeed, at least one third of all Internet traffic is populated by a spectrum of ‘bad’ bots. On one end, there are the manipulative bots, like those designed to buy out retailers’ inventory to resell high-demand goods at markup (like limited edition sneakers or ticket scalping) or simulate advertiser click counts. On the other, more extreme end, malicious bots take over accounts, conduct API abuse and enslave our IoT devices to launch massive DDoS attacks. Equally troubling is the speed at which the bot ecosystem is evolving. Like most criminal elements, threat actors are singularly focused in their goals: They constantly update, mutate, and modify their tool sets to work around the various protections companies put in place. In other words, what protected your organization against bots last year may not work today. Research from Radware’s 2018 State of Web Application Security Report shows that most organizations rely on tools like Captcha to detect their bot traffic, but modern, sophisticated bots can easily bypass those tools, making it difficult to even detect bot traffic, let alone identify the bot’s intentions. Organizations need to look for bot management solutions that not only effectively detect and mitigate bot attacks but can also distinguish between ‘good’ and ‘bad’ bots in real-time. Yesterday, Radware announced its intent to acquire ShieldSquare, which is a pioneer in the bot mitigation industry and one of three recognized solution leaders by Forrester with strong differentiation in the Attack Detection, Threat Research, Reporting, and Analytics categories. 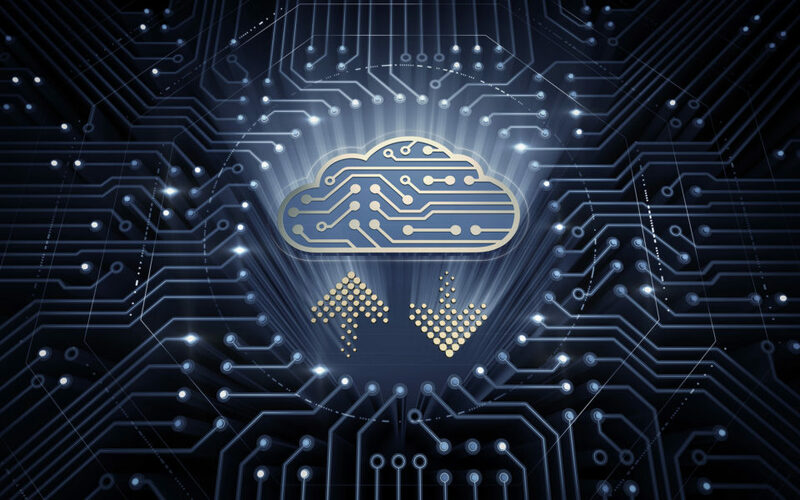 The strong technology synergy between the two companies around advanced machine learning and the opportunity to extend Radware’s existing cloud security services bring a tremendous advantage to our customers and partners. It also provides ShieldSquare’s customers with access to the full suite of Radware security and availability solutions both on-prem and in the cloud, including our Cloud WAF services for comprehensive protection of applications. We look forward to welcoming the ShieldSquare team into the Radware family and joining forces to offer some of the world’s best bot management solutions. 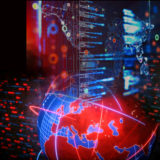 For years, cybersecurity professionals across the globe have been highly alarmed by threats appearing in the form of malware, including Trojans, viruses, worms, and spear phishing attacks. And this year was no different. 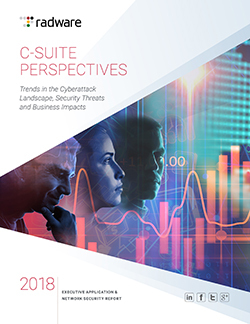 2018 witnessed its fair share of attacks, including some new trends: credential theft emerged as a major concern, and although ransomware remains a major player in the cyberthreat landscape, we have observed a sharp decline in insider threats. This especially holds true for the UK and Germany, which are now under the jurisdiction of the General Data Protection Regulation (GDPR). However, in the U.S., insider threats are on the rise, from 72% in 2017 to an alarming 80% in 2018. When WannaCry was launched in May 2017, it caused damages worth hundreds of billions of dollars, affecting 300,000 computers in 150 nations within just a few days. According to a CyberEdge Group report, 55% of organizations around the world were victimized by ransomware in 2017; nearly 87% chose not to pay the ransom and were able to retrieve their data thanks to offline data-backup systems. Among the organizations that had no option other than paying the ransom, only half could retrieve their data. What does this teach us? That offline data backups are a practical solution to safeguard businesses against ransomware attacks. 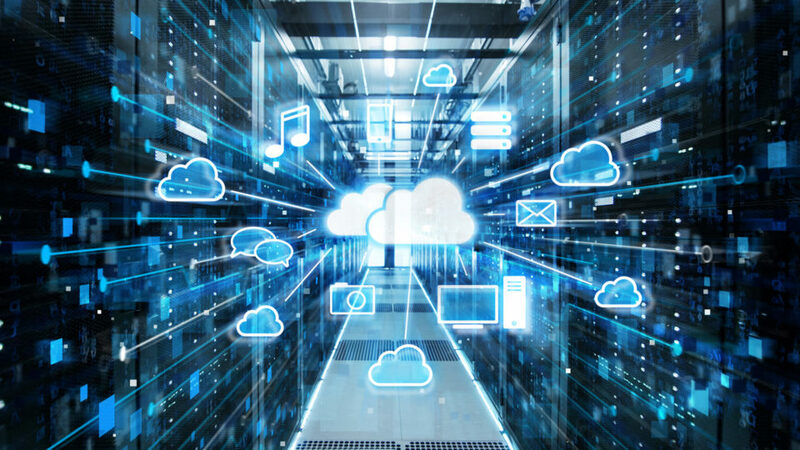 Luckily, highly efficient and practical cloud-based backup solutions have been introduced in the market, which can help businesses adopt appropriate proactive measures to maintain data security. However, there are concerns with regards to cloud security, as well with data privacy and data confidentiality maintenance. For instance, apprehensions regarding access control, constant and efficient threat-monitoring, risk assessment, and maintenance of regulatory compliance inhibit the holistic implementation of cloud solutions. 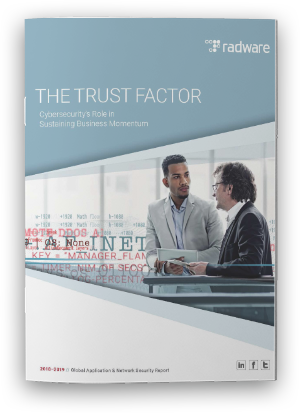 But while these concerns act as impediments for companies, they also serve as opportunities for security vendors to step into the scene and develop richer and more effective solutions. And, make no mistake, there is a definite need for better solutions. According to Verizon’s 2015 Data Breach Investigations Report, even after the Common Vulnerabilities and Exposures (CVE) was published, 99.9% of exploited vulnerabilities went on to be compromised for more than a year, despite the availability of patches. Why? 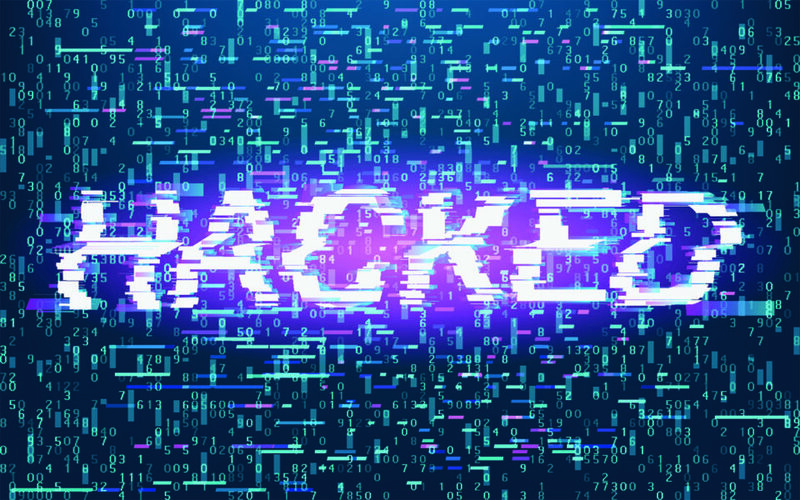 Despite IT security experts’ insistence on regularly monitoring and patching vulnerabilities in a timely manner, doing so has its challenges; patching involves taking systems offline, which, in turn, affects employee productivity and company revenue. Some organizations even fail to implement patching due to lack of qualified staff. Indeed, more than 83% of companies report experiencing patching challenges. This is all to say, today’s dearth of effective patch and vulnerability management platforms provides opportunities for vendors to explore these fields and deliver cutting-edge solutions. And with IT security budgets healthier than ever, there’s a glimmer of hope that businesses will indeed invest in these solutions.